Regional Centre, Janla | Ali Yavar Jung National Institute of Speech and Hearing Disabilities (Divyangjan), Mumbai. 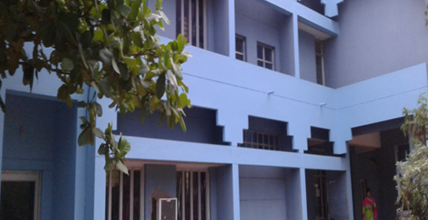 Ayjnishd (Divyangjan), Regional Centre, Janla, Odisha was established in the year 1986 by the then AYJNIHH, Mumbai and the then CD RR Department, Government of Odisha.It was then named as Training Centre for the Teachers of the Deaf and it started functioning at S. I. R. D. Campus, Unit-VIII, Bhubaneswar-751012. The Government of Odisha provided five acres of land in the year 1999 at Ogalpada, Janla in the district of Khordha, just 14 kilometers away from Bhubaneswar within the jurisdiction of Bhubaneswar Development Authority to establish its own campus.It was 2008 when the centre was shifted to its own building at Janla. Now the centre is renamed as Ayjnishd (D) Regional Centre, Janla. Manpower Development:Various Courses such as Diploma in Education – Special Education (Hearing Impairment) in short-D. Ed. Spl. Ed. (HI), Diploma in Hearing, Language and Speech (D. H. L. S.); B. Ed. Spl. Ed (HI) and Certificate in Indian Sign Languageare conducted by the centre for various aspects of rehabilitation of persons with speech and hearing disabilities. The courses are recognised by Rehabilitation Council of India, New Delhi. Audiometry, Immittance, OAE,* Hearing Aid Prescription, Hearing Aid Analysis (Computerised), Hearing Aid Servicing Repairing, Hearing Aid programming and Fitting,* Custom Ear Mould Making,* Auditory Training, * Counselling, Follow-Up Services and Referral Services. Research studies in the areas of intervention, early childhood inclusive education of children with hearing impairment are being carried out in the centre. Identification and intervention of speech and hearing disabilities, hearing aid fitment and educational counselling services are being rendered and evolved with emerging needs. Audiological Evaluation, Hearing Aids Fitment and Educational Counselling services are also rendered at remote villages of the state of Odisha in collaboration with RBSK, NHM, Odisha and many other NGOs. Educative materials for public, parents, teachers and all allied professionnals are prepared in odia language to diseminate the services of AYJNISHD in Odisha. Research in Disabilities for Post Graduate students of Universities of Odisha, Career in Special Education for Students of +2 and +3 level of different Colleges and Orientation to DIET Master Trainers, Trainees of Institutes of Journalism Mass Education, Anganwadi Workers, Parents, Heads of Schools and Govt. officials and Orientaion on Indian Sign Language to Teachers of Regular Schools. Different categories of Hearing Aids selected on a rate contract basis by the Ministry of Social Justice Empowerment, Govt. of India are distributed to the persons with hearing impairment in the Centre as well as in camps through clinical services. Information on Hearing disability, Orthopaedic disability, Visual impairment, Intellectual disability and multiple disability are provided through IVRS mode.